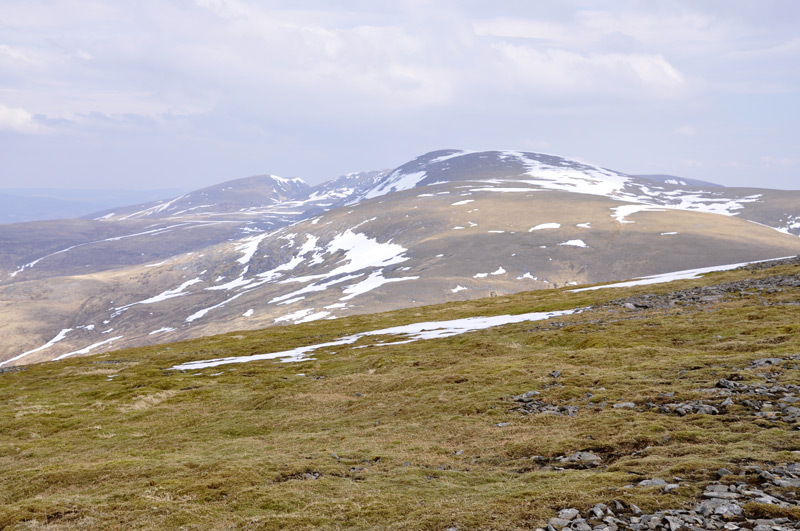 Between the summit of Creag Meagaidh, Coire Ardair to the NE and Moy Corrie to the SE is a high plateau. The summit is located at the E limit of the plateau at the start of the SW ridge. 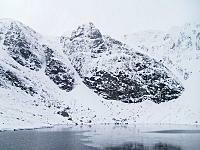 This ridge, which has crags on its N and S slopes, branches to give a narrow S ridge and a broad W ridge. 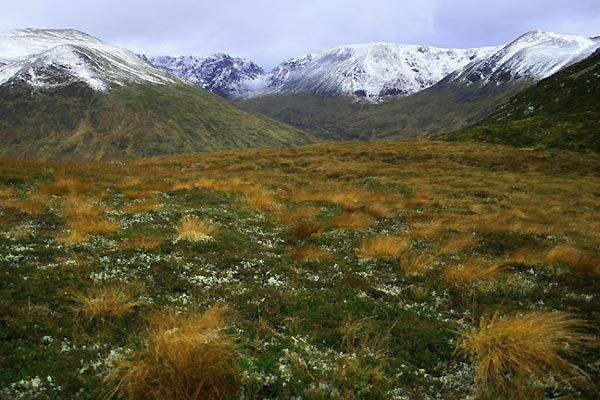 To the NE of the plateau, a broad ridge connects to Stob Poite Coire Ardair via a narrow col known as "The Window" (this is the main ascent route). From Puist Coire Ardair at the E limit of the plateau rises the narrow E ridge which branches SE towards the crags of Creag Tharsuinn and NE to Sron a' Choire providing an alternative ascent route. Cliffs of Coire Ardair and Lochan a'Choire from path towards Window,15/03/08. The summary information of one or more ascent routes that include Creag Meagaidh. 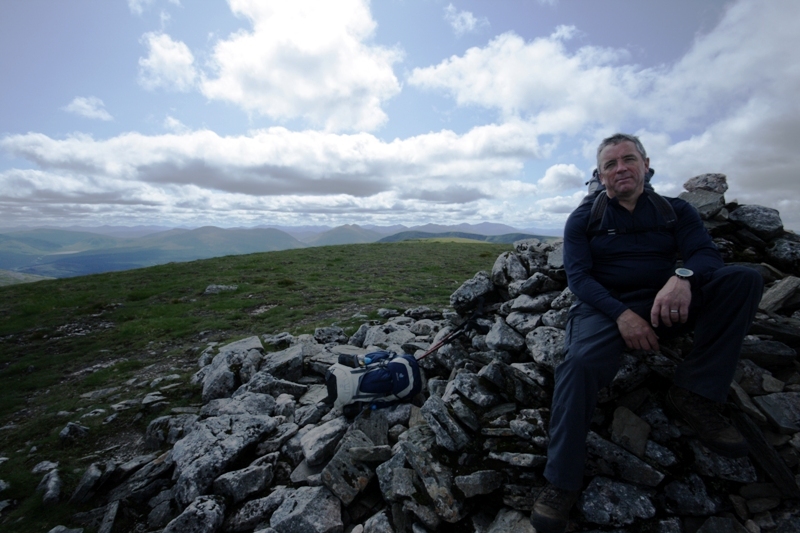 Me and Nick Butterworth on top of Creag Meagaidh, great view of Ben Nevis in the background. 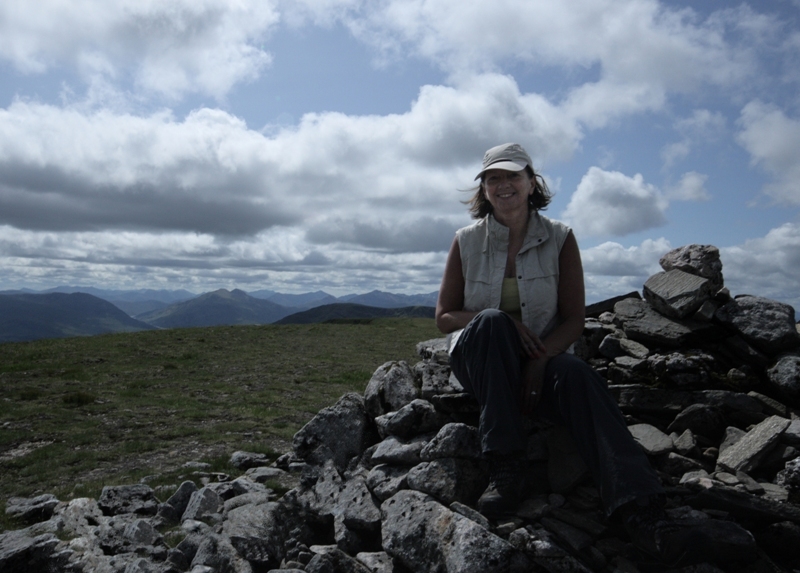 Lynda at summit Creag Meagaidh 25th July 2009. Scott at summit Creag Meagaidh 25th July 2009. 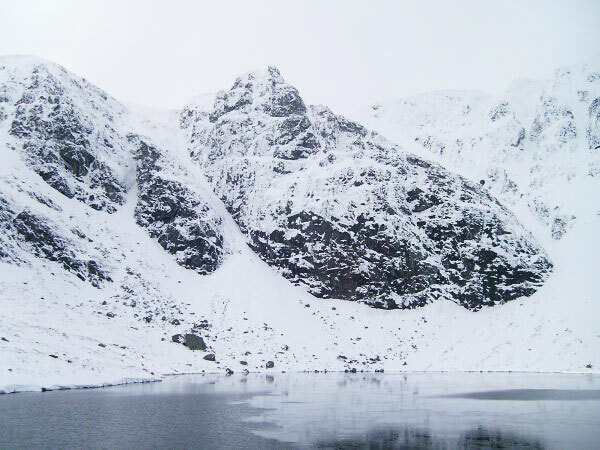 Post a few words about Creag Meagaidh or read what others have had to say. 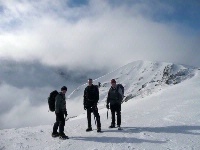 Note from previous posting: "easiest group of three Munro's you can do in a single outing"! ...I don't think so, especially in winter conditions, when it was a tough 7 hour day for me. 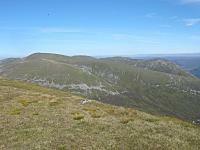 This has got to be the easiest group of three Munro's you can do in a single outing. Having just done the three Munros on this route I'm well and truly Knackered. Went up through the corrie to the lochan, into the Window then up to Creag Meagaigh, back by Stob Poite Coire Ardair and onto Carn Liath. it was a very enjoyable walk even though it must have been the hottest day of the year, (even on the tops it must have been 20 Degrees plus). I was burnt to a cinder, but it was one of the most memorable groups of Munro's I've completed. We met Three others doing it by Carn Liath first, our time was 6 1/2 hours by doing the Corrie route first which I thought was reasonable.